The event was postponed until Monday after weather delayed the track activity until 7:00 p.m. on Sunday, which allowed for only two rounds of eliminations for Top Fuel and Funny Car, and one round for Pro Stock. 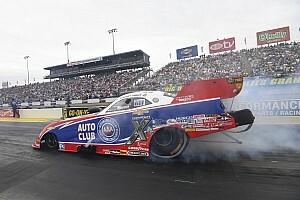 Force powered her Advance Auto Parts Chevrolet Camaro to a pass of 3.928-seconds at 329.83 mph to defeat defending world champion and teammate Robert Hight in the final round. She was the No. 1 qualifier for the event. Force locked-in her third win of the season and 11th of her career. Force defeated Richard Townsend, Matt Hagan and J.R. Todd before entering her third final round this season. Hight drove past Cruz Pedregon, Tommy Johnson Jr. and Shawn Langdon before entering his fourth career final round at Heartland Motorsports Park. Millican clinched his second career national event title after he piloted his Strutmasters/Great Clips dragster to a 3.727 at 332.59 pass to defeat Terry McMillen in the finals. This was the first time that Millican and McMillen had faced each other in a final round. Millican secured his 10th career final round and first at the Menards Heartland NHRA Nationals presented by Minties. “The car has been really good,” Millican said. 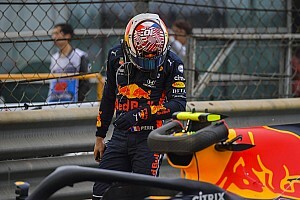 “Pretty much didn’t matter what I did because that car was going to win today. It’s just awesome with all of the work [crew chief] David Grubnic has put in. 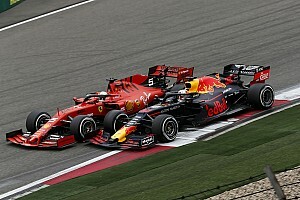 He found some consistency which is what I’ve been saying all along." Millican defeated Terry Totten, Doug Kalitta and eight-time world champion Tony Schumacher prior to entering his first final round of the season. McMillen raced past Mike Salinas, Billy Torrence and Steve Torrence before entering his fifth career final round. Kramer drove to his first career victory in his American Ethanol Chevrolet Camaro with a pass of 6.615 at 209.36 to defeat two-time world champion Erica Enders in the final round. Prior to entering the event, he had 13 career round wins. He is the 67th different Pro Stock driver to win in NHRA history. Kramer faced Will Hatcher, Matt Hartford and Jason Line to enter his second final round of his career. Enders took down Mark Hogan, Tanner Gray and Greg Anderson before her third final round this season. TOP FUEL: 1. Clay Millican; 2. Terry McMillen; 3. Steve Torrence; 4. Tony Schumacher; 5. Billy Torrence; 6. Doug Kalitta; 7. Brittany Force; 8. Leah Pritchett; 9. Scott Palmer; 10. Bill Litton; 11. Antron Brown; 12. Richie Crampton; 13. Kebin Kinsley; 14. Mike Salinas; 15. Terry Totten; 16. Terry Haddock. 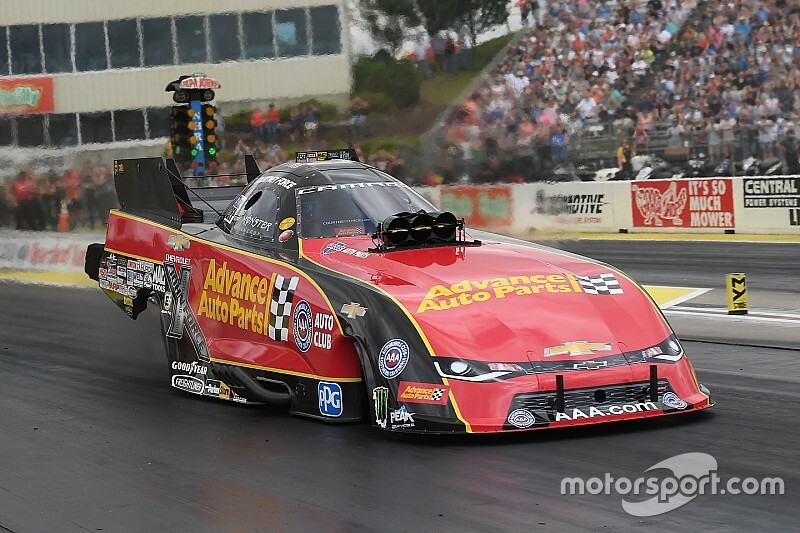 Final: Clay Millican, 3.727 seconds, 332.59 mph def. 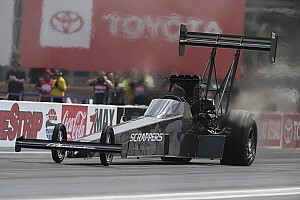 Terry McMillen, 6.169 seconds, 104.47mph. FUNNY CAR: 1. Courtney Force; 2. Robert Hight; 3. J.R. Todd; 4. Shawn Langdon; 5. Matt Hagan; 6. Tommy Johnson Jr.; 7. Jack Beckman; 8. Jonnie Lindberg; 9. Tim Wilkerson; 10. Ron Capps; 11. John Force; 12. Dale Creasy Jr.; 13. Richard Townsend; 14. Cruz Pedregon; 15. Jim Campbell; 16. Bob Tasca III. Final: Courtney Force, Chevy Camaro, 3.928, 329.83 def. Robert Hight, Camaro, 4.087, 265.90. PRO STOCK: 1. Deric Kramer; 2. Erica Enders; 3. Jason Line; 4. Greg Anderson; 5. Tanner Gray; 6. Drew Skillman; 7. Matt Hartford; 8. Richard Freeman; 9. Vincent Nobile; 10. Mark Hogan; 11. Chris McGaha; 12. Will Hatcher; 13. Alex Laughlin; 14. Jeg Coughlin; 15. Bo Butner; 16. Alan Prusiensky. Final: Deric Kramer, Chevy Camaro, 6.615, 209.36 def. Erica Enders, Camaro, 7.409, 143.58. TOP FUEL: 1. Steve Torrence, 664; 2. Clay Millican, 569; 3. Tony Schumacher, 539; 4. Doug Kalitta, 497; 5. Leah Pritchett, 489; 6. Terry McMillen, 432; 7. Brittany Force, 428; 8. Antron Brown, 423; 9. Richie Crampton, 312; 10. Mike Salinas, 308. FUNNY CAR: 1. Courtney Force, 670; 2. Jack Beckman, 590; 3. Matt Hagan, 540; 4. Robert Hight, 512; 5. J.R. Todd, 504; 6. Tommy Johnson Jr., 490; 7. Ron Capps, 440; 8. Cruz Pedregon, 399; 9. Shawn Langdon, 373; 10. Jonnie Lindberg, 351. PRO STOCK: 1. Vincent Nobile, 573; 2. Greg Anderson, 543; 3. Erica Enders, 541; 4. Deric Kramer, 539; 5. Bo Butner, 518; 6. Drew Skillman, 496; 7. Chris McGaha, 495; 8. Tanner Gray, 493; 9. Jason Line, 442; 10. Alex Laughlin, 381.